Bangladesh meet Scotland in Amstelveen with a place at the ICC Women's World T20 on the line. Bangladesh, who claimed a shock victory at the Women's T20 Asia Cup last month before winning a T20I series in Ireland, have continued their impressive recent form in this tournament. They cruised through Group A, defeating Papua New Guinea by eight wickets, the Netherlands by seven wickets and UAE by eight wickets, never conceding more than 84 or needing to bat beyond the 15th over. In fact against the Netherlands and UAE, they completed their wins with more than half their overs to spare. The Scots were less convincing as they progressed from Group B, getting thumped by Ireland by nine wickets in what was effectively a battle to top the group. They were imperious in their opening fixture against Uganda, dismissing the African outfit for 43 and then reaching their target in 6.5 overs, but showed the same batting frailties witnessed against Ireland in their third match, when they could only score 97/6 versus Thailand. Fortunately for Scotland, their bowlers stepped up to the plate and dismissed the Thais for 70 to confirm their semi-final berth. So how can Scotland stop the Bangladeshi juggernaut? If last week's warm-up fixture between the two sides is anything to go by they will find it tough. On that occasion Scotland were skittled for just 47 before Bangladesh chased down their target with 10 overs to spare and nine wickets still intact. The toss could prove crucial though. In that warm-up fixture and in each of their group games Bangladesh were the chasing side. Scotland captain Kathryn Bryce may well be keeping her fingers crossed that the coin lands in her favour so she can insert the opposition and put their batters, who have strolled through the competition so far, under some real pressure. Fahima Khatun (Bangladesh): The leg-spinner has been on fire so far in this competition, mesmerising batters with her box of tricks. So far she has the scarcely believable figures of eight wickets at an average of 2.62, with an economy rate of 2.10. Fahima bamboozled the Netherlands and UAE to the tune of 3/3 and 4/8 respectively, including a hat-trick against the latter, and her figures of 3/1 in the warm-up victory over Scotland don't bode well for Bangladesh's semi-final opponents. 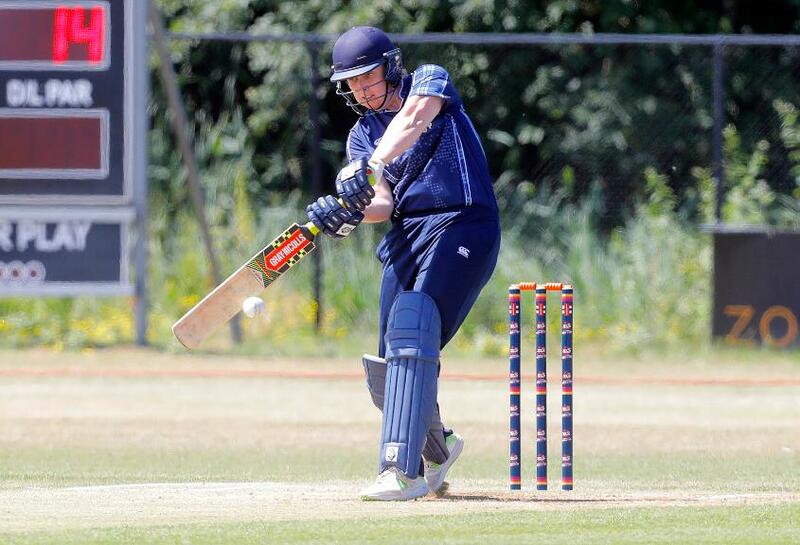 Rachel Scholes (Scotland): The 26-year-old all-rounder was superb in the crucial victory over Thailand, taking 4/10 from her four overs to follow a similarly impressive return of 3/3 against Uganda. Scholes will take the new ball and opposition batters have found her right-arm seamers almost impossible to get away so far in this tournament. She also has an important role to play with the bat, and is likely to come in at No.3 or 4.